The other day I was traveling with clients when we crossed the Bridge of the Americas. There are three bridges which connect our bisected country, but the Americas is the most used. We were traveling east leaving Panama City on our way to view some property before they returned to Mexico. I’ve never grown tired of the absolute thrill of taking that bridge up and over the Canal but sometimes, when I have a lot on my mind, I don’t pause and acknowledge its’ awesomeness. The Panama Canal is simply amazing and I am always humbled when I look at it. “We are going to stop to look at Casa Bonita first,” I said as we merged onto the bridge. The bridge is always busy with maintenance work, buses, and lots of commuters. “Then we’ll be on to Costa del Este,” I continued laying out our day. My clients were being moved from Mexico City to Panama by the company the husband worked for. I knew we had to make the most of this day so I was concentrating on time and traffic. 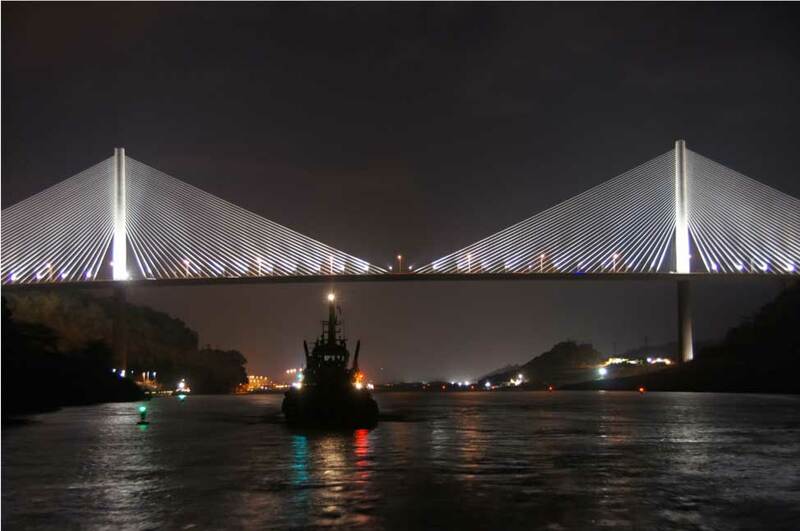 The Bridge of the Americas spans the Panama Canal and is situated so you can easily watch ships prepare to transit the Canal. “I know,” she said, “but it just goes over water. Look what’s going on down there! It’s the Panama Canal.” Large cargo boats as well as small sail boats sat side-by-side, ready to transit from the Pacific Ocean to the Atlantic Ocean. It’s nice to see my country in someone else’s eyes. 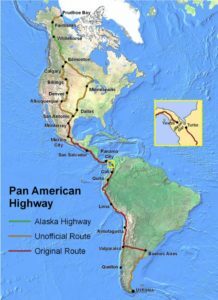 The Pan American Highway is only broken in Panama. The Bridge of the Americas is a workhorse. It was designed to carry about 9,500 vehicles a day when it was completed in 1962. Today, it’s more like 50,000 vehicles and, as you can imagine, often times a real bottle neck. “Panama has another bridge, the Centennial Bridge, which opened in the last 15 years, but it is located more toward the mid-way section of the Canal and does not really connect Panama City with the western part of the country,” I continued explaining as traffic and transportation is always important when considering property. “The Centennial Bridge does however keep you on the Pan-American highway which runs for about 19,000 miles from Prudhoe Bay, Alaska to Ushuaia, Argentina with a small unnavigable break at the Darien Gap in Panama,” I said. “Let’s talk about the traffic,” said the husband. “To go from a design to carry 9,500 cars a day to somewhere around 50,000 is pretty significant.” He said. “There is no question traffic—on the bridge as well as times in and around the city—can be difficult. Lots of people go to work early and others stay late to avoid the worst of it, but the good news is we are getting a fourth bridge”, I explained. 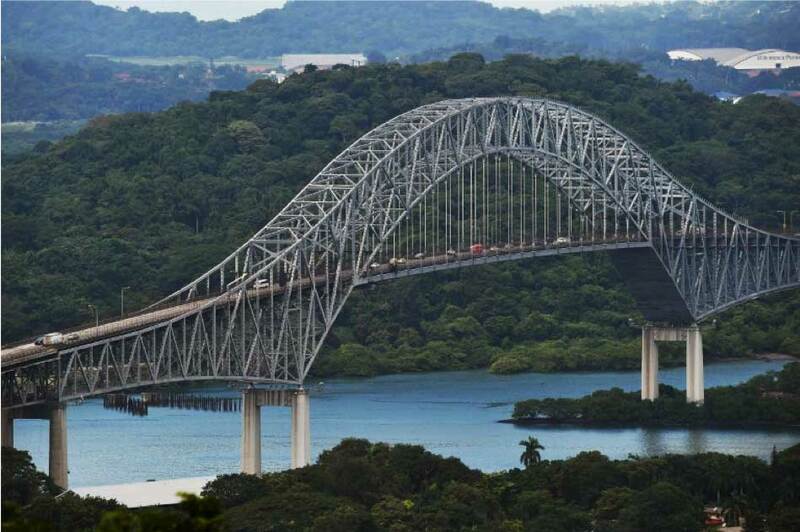 The third bridge located on the Atlantic side of Panama is called Centarrio Bridge and it connects the northern part of Panama City to the interior of the country. It was just completed recently and it is a beauty but it services as completely different area. 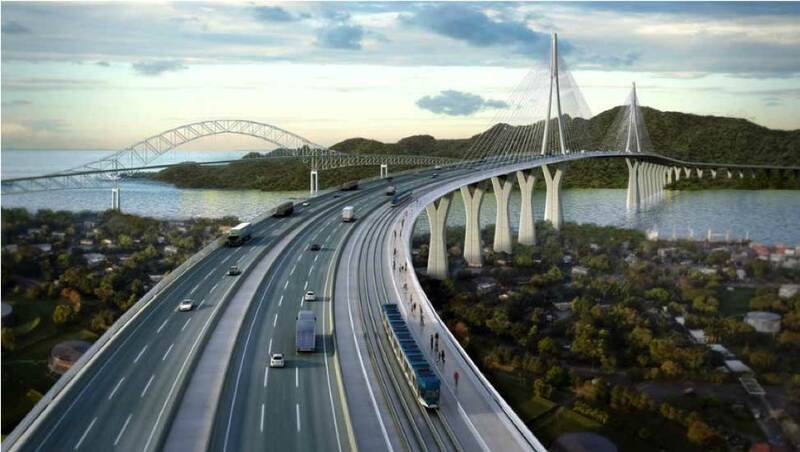 The new bridge should be completed in 2022 and it will support multiple transportation styes include foot and the metro. Each metro train will have a total of six cars. “When will this be complete?” asked the wife. “The projected date is 2022,” I responded, but quickly added, “It’s a complicated project, but it’s supposed to take three and a half years and we are at the point of starting to dig. It’s a 1.42 billion dollar project. Just getting the bids and the consortiums sorted has taken years,” I continued. We were now traveling along a two-lane road that would quickly take us to the beautiful Greco-Mediterranean style residential tower of Casa Bonita which shares amenities with the five-star Playa Bonita Westin Resort. The road to the resort is quiet and it’s runs along the Bay of Panama. “The new bridge is going to be beautiful and functional,” I said. “There is supposed to be a restaurant perched on one of the pillars and I’m just waiting for that to open,” I said laughing. 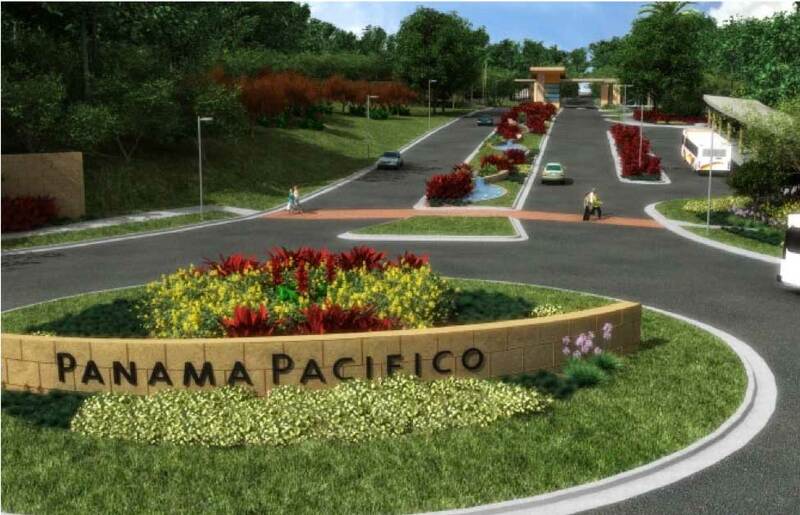 Panama Pacifico is a planned community filled with international companies, green space. The new, fourth bridge, will also make it easily accessible. “How will the traffic be from Casa Bonita to 3M in Panama Pacifico?” came a question from the back. “It’s not really walkable,” I began, “but you almost could.” Panama Pacifico is such an incredible master planned community with so many expats, great schools and green space. It’s the old US Howard Air Force Base and it’s 3,450 acres. Something like 40% of the project will be dedicated to the natural environment so you will be working in a fabulous area and then you should come home to a fabulous place,” I continued as I brought the car to a stop and a doorman came out. I smiled and introduced my passengers before handing over my keys and walking into the lobby of Casa Bonita. I smiled as I walked them to the high-speed elevators. I knew this was going to be a perfect fit. If you’d like to see more of where my clients from Mexico decided to buy, go to my website at: https://www.lizlarroquette.com/casa-bonita-property/. Next Post Coming To Panama For Stem Cells?